I hate game where you have multiple lives but dying once (in later levels) means you might as well start over. Super Turrican isn't that hard as long as you don't die and get your weapon downgraded. In the original Star Fox I made some progress on the hard route but then I lost a wing and/or died which removed my upgraded double blasters and then it wasn't possible anymore. In Mega Man and Mega Man X games if used your E tanks or sub tanks and died you were stuck having to try to finish off the final boss fights without them (i.e. give up and start over). 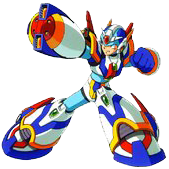 At least Mega Man X you could tediously refill the sub tanks between attempts assuming you noticed the continuously respawning enemies sometimes drop health. I hate basically any loss of progress especially if it adds insult to injury like having to fight your way back to where you died to fight to get your stuff back before you can continue. Finished Dragon Quest XI, Mega Man X5 & X6, and started Hollow Knight. As long as you want 2 or 3 games in the collection the price isn't bad. Anybody get the Arcade Collection? The only game that interests me at all in it is Haunted Castle, but in order for me to consider it, I'll need a sale and I need to know if you continue unlimitedly without being sent back to the beginning. Arcade games tend to be deliberately cheap but once they're on a collection that doesn't require you to keep putting in coins/tokens they're easy. According to one review you get 1 life per quarter and can only continue 3 times so if the collection version is the same there's no way I'm getting it. Yeah, if it has mini-DP, use that. A USB-C hub is useful for connecting a single cable and getting Ethernet, HDMI or DP, and other stuff like more USB ports and card readers. With newer Macbooks you're stuck with either USB-C or Thunderbolt 3 dongles, hubs or docks but if the Surface Pro has mini-DP I'd recommend using that even if you're also using a USB hub (meaning that you could have one less cable to connect if you only used the hub) unless it's just for occasional use (though you'd have to confirm that the laptop support the alt mode necessary to do DP over USB-C) such that the convenience might be greater than reliability concerns. Something to keep in mind about devices for connecting monitors to laptops that don't have HDMI or DP is that the cheap USB C hubs tend to get quite hot and can be unreliable. If the laptop supports thunderbolt you can get a thunderbolt hub but those tend to be expensive. If you don't mind the price and the laptop supports thunderbolt and charging over thunderbolt it can be convenient since you just plug one cable in to get power, network, monitor and more USB ports. Another option is a monitor that supports video over USB C and a cheap dongle for when you need to use another monitor/TV/projector that doesn't support USB C.
I wasn't responding to your reference, when Jason said he meant Discovery. I initially skipped over the comment because it says Defiant and only later realized that he meant Discovery and has seen the short episode I was referring to. Initially I didn't get your post and my response was initially to say I'm not sure what you mean and summarize what I was trying to say in my last post but then I looked at your previous post more closely and I think I understand what you're saying. Maybe you shouldn't have made fun of Chairslinger's spelling. Discovery is spelled D-i-s-c-o-v-e-r-y not D-e-f-i-a-n-t With that little correction I think I understand your response. I had forgot the name of the short but seeing the wrong ship name certainly didn't help my memory. Did you guys not watch the short episode where Discovery is parked somewhere in the future with no crew and has become self-aware? Presumably the sphere data is why it became self-aware. While Discovery will eventually end up in the future it won't necessarily be because of time travel since in the short it had been parked for a long time. The plan in the next episode could fail or if it succeeds they could go back and forth through time. If the short is supposed to represent the result of the season (or start of next season if they do a cliff-hanger) then they'll need a new Discovery (it'd be weird to have the series called Discovery if they all just go to a new ship or the Enterprise) but if it refers to events after the eventual end of the series the could end up any with the same ship next season. Don't they have 2 more signals to find? If they do succeed in going to the future I'd imagine they'll set up the remaining signals for the Enterprise to find and maybe the last one is to set up for the crew getting back to their time.